I’m in Toronto with my friend Andrew. We’re staying at the Renaissance Hotel. 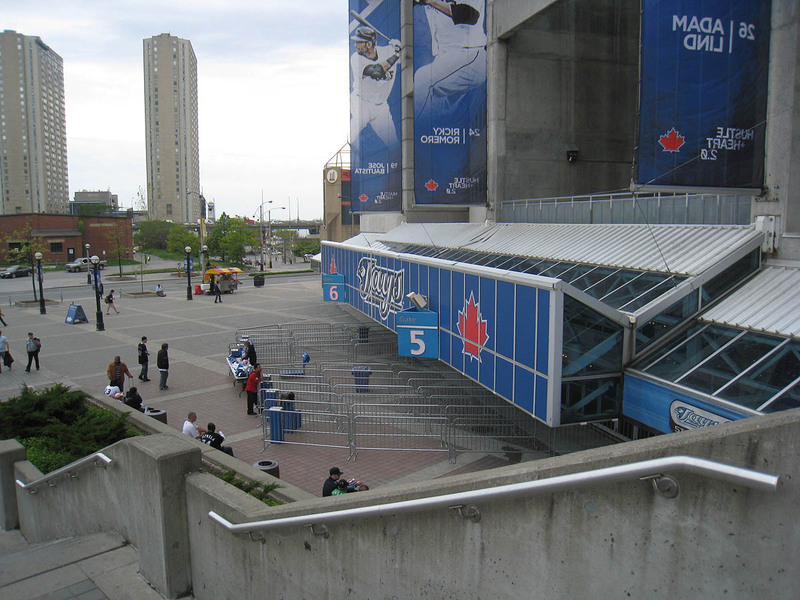 The hotel is located inside Rogers Centre. 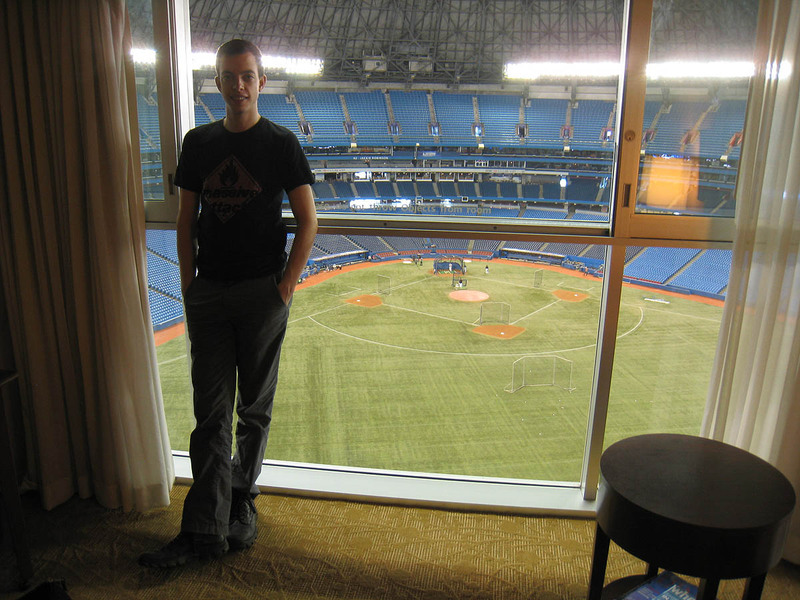 And yes, our room overlooks the field. That’s me in the photo above. This isn’t the first time I’ve stayed in one of these rooms. 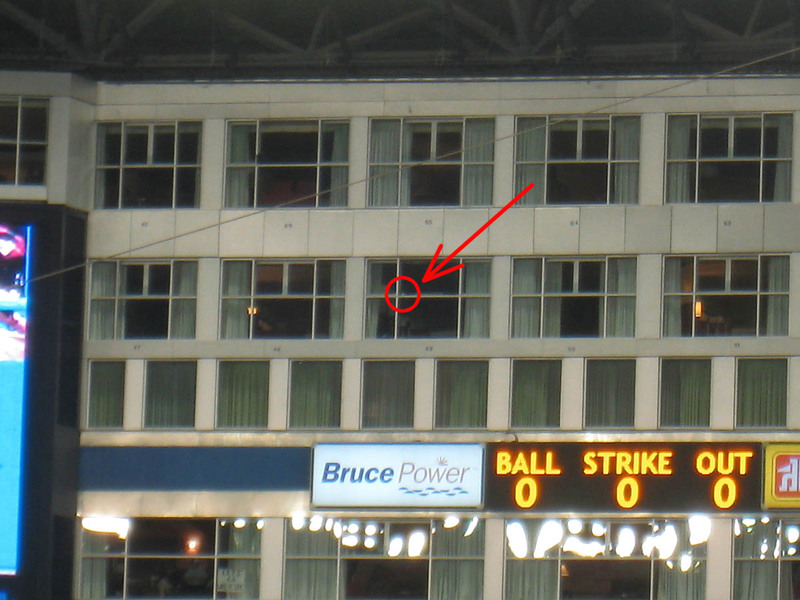 I was here in April 2009 for a series against the Tigers, and after the first game, I posted this monster blog entry about the hotel experience. If you’ve never seen it, check it out immediately. Did you notice the red circle? That’s our hotel room. 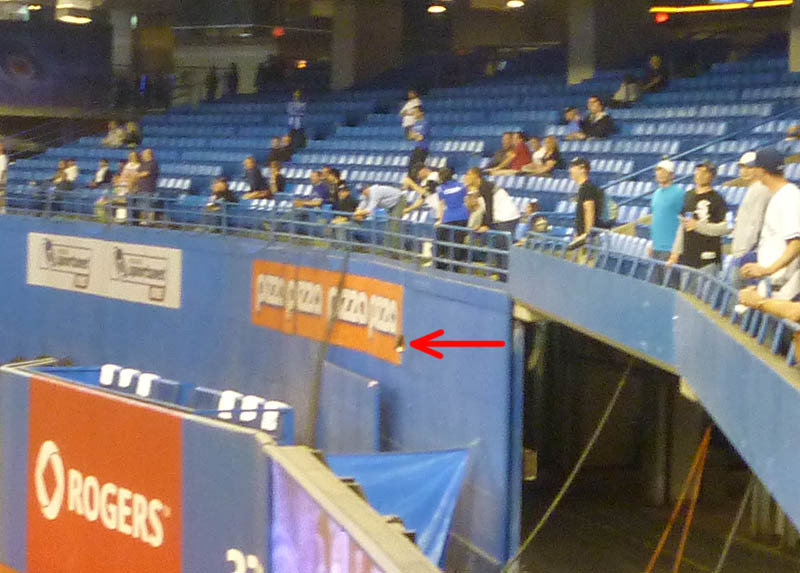 Someone on the White Sox had hit a home run that landed in the gap behind the outfield wall. 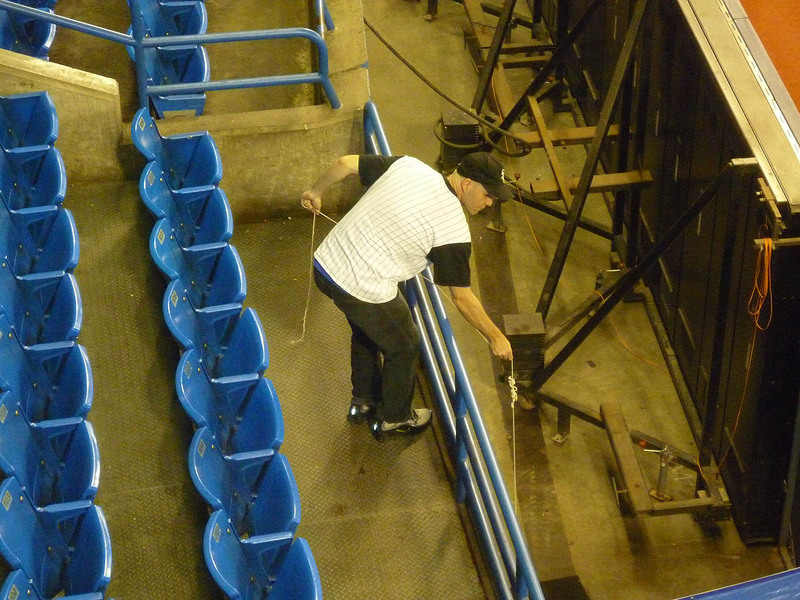 Just as I was getting ready to snag it with my glove trick, a groundskeeper walked over and said, “I’m gonna make it easier for you, even though you’re a White Sox fan.” (Heh.) Then he picked up the ball and tossed it to me. 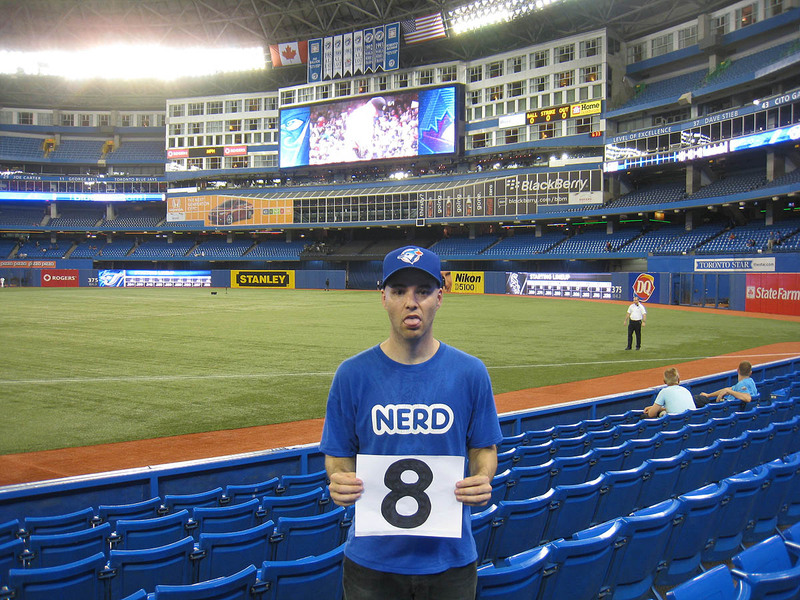 I really wanted to break double digits — according to MyGameBalls.com, no one had ever done it at Rogers Centre — but I didn’t know if I’d get enough opportunities. Sure, the day was off to a great start, but there wasn’t much batting practice remaining. At least that’s what it felt like. It was already 5:40pm, which meant I only had another 35 minutes to work with. 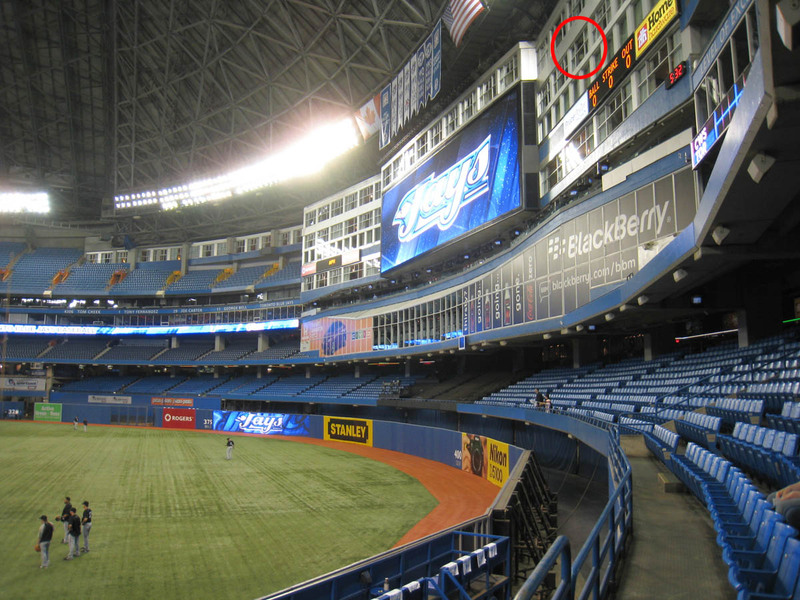 At Rogers Centre, you can only snag one-third of the home runs no matter where you are. 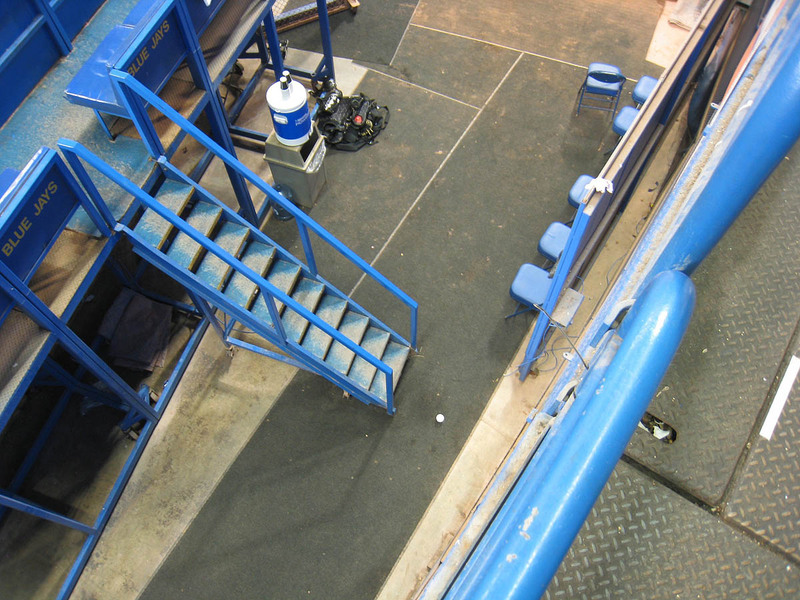 Basically, the way it works is that one-third of the homers will land in the bullpens, another third will land in the 100 Level, and the final third will reach the 2nd deck. In other words, when you’re in the 100 Level, many balls will either fall short or sail over your head, and if you’re up top, most balls will fall short. Not good. I’d told him to hang out there. I knew it would be empty, and since the Sox are a power-hitting team, I figured he’d get some opportunities. 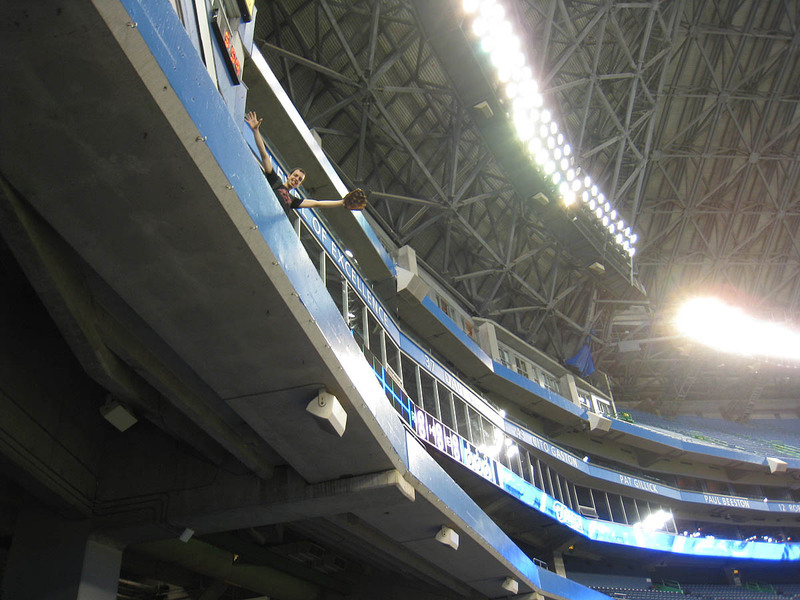 As it turned out, he only snagged one ball there — an Adam Dunn homer that landed in the seats — but given the fact that he’d only snagged two baseballs prior to that in his entire life, he was happy. 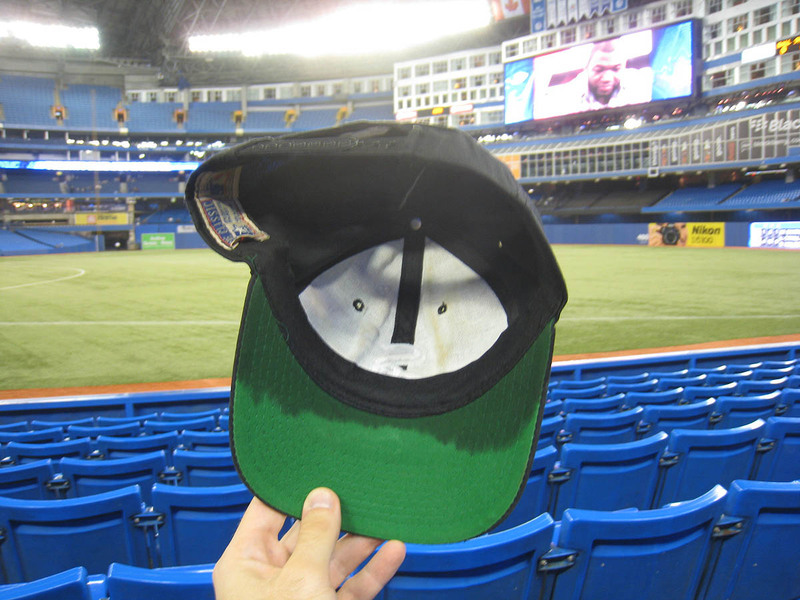 Moments after I got that ball, Tony Pena tossed me another, and then I grabbed a home run that landed right behind me. I don’t know who hit it. It was like…bang-bang-bang…and suddenly my total for the day had reached eleven! If his autograph looks funny, that’s because it’s upside-down. I had made sure to hand him the ticket so that it was facing the right way FOR HIM, but then he turned it around without looking and signed it. Duh. Because this is the 8th stadium that I’ve visited this season. That’s How to Snag Major League Baseballs on the left, Watching Baseball Smarter in the middle, and The Baseball on the right. I was shocked. I know a bunch of people who own copies of all three of my books, but I can’t remember seeing all three at once. 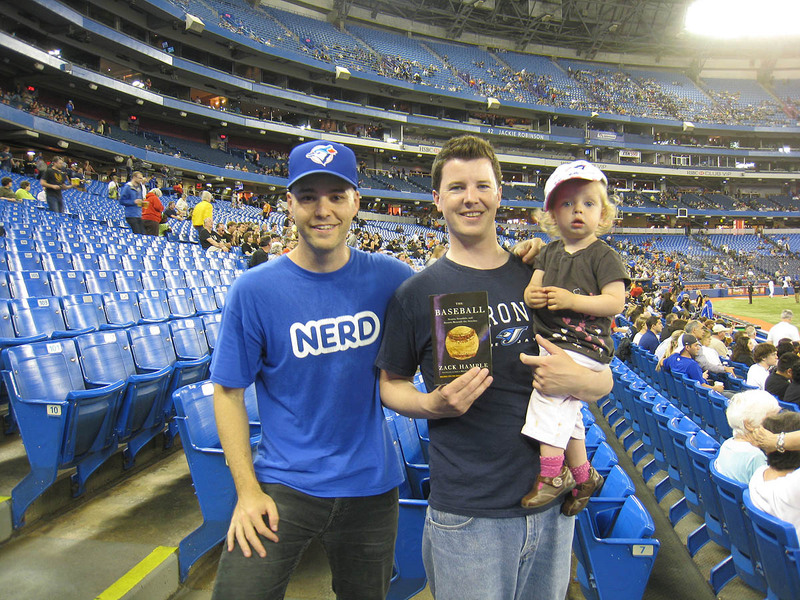 It was her first game ever, and to commemorate the event, Matt had just snagged his first baseball ever during BP. In the photo above, that’s Andrew drinking beer. He wasn’t posing. He was actually drinking it. Oh, and hey, I forgot to mention that he got a second ball from Mark Salas at the dugout after BP (I lent him my sweaty Sox cap for that one) and got Vizquel to sign it. Not bad. Andrew always seems to get great autographs when we go to games together; on 7/8/09 at Citi Field, he got Donald Trump to sign a ball. 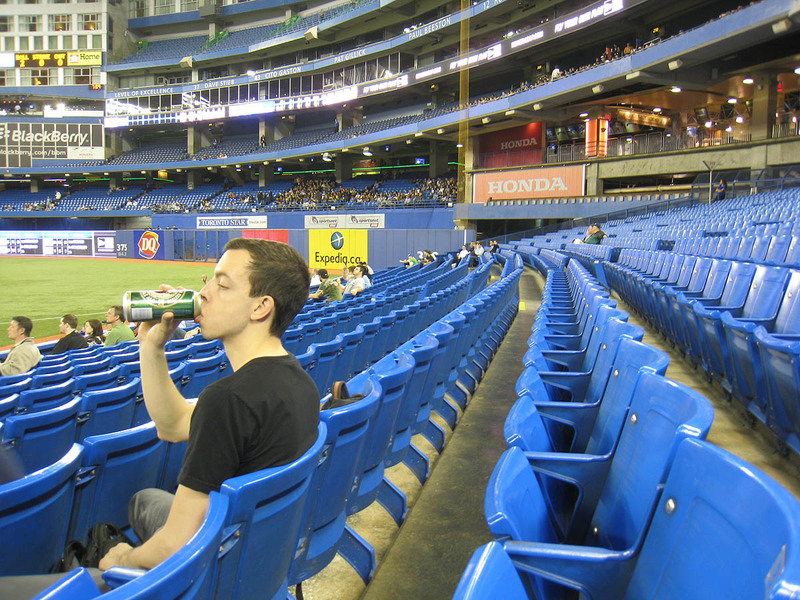 In the 2nd inning, Andrew and I moved closer to home plate. 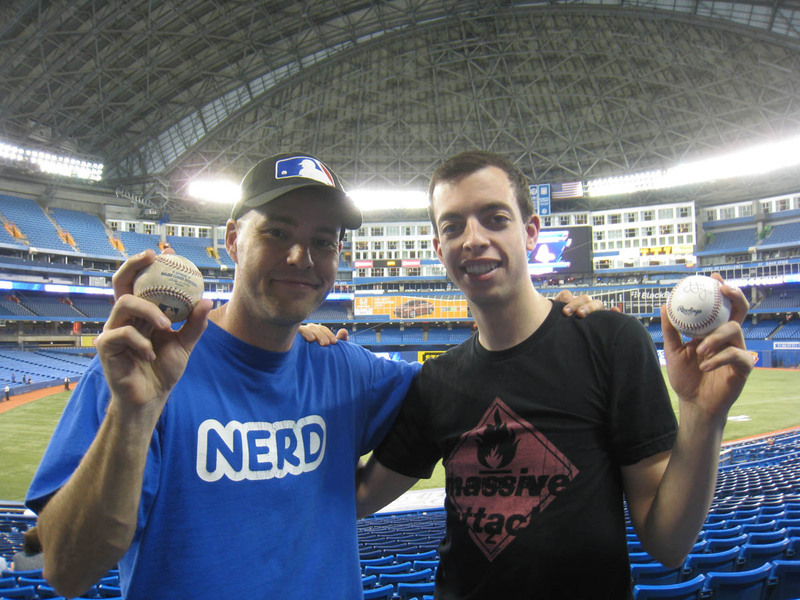 Soon after, Matt ended up snagging a foul ball! He and I had pretty much been sitting in the same spot, so if I’d stayed, there’s a good chance I would’ve had it. I’m glad he got it, though. It was a really special game for him (and for his wife Caitlin), so it’s cool that things worked out as they did. 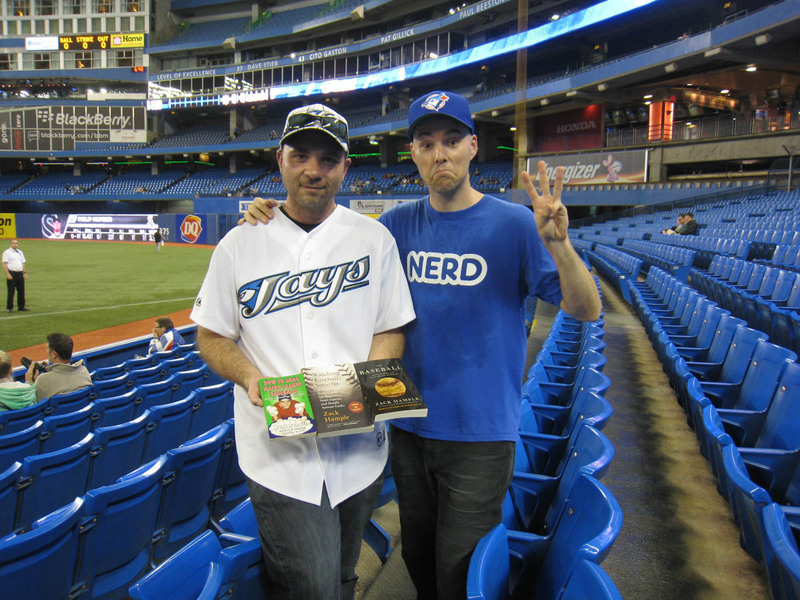 Because tonight (Friday, May 27th), I’m going to do an in-studio interview on The Fan after the game. I’m supposed to get there at 11:30pm (Andrew’s gonna come with me), and if all goes according to plan, I’ll be on the air at around midnight. I might only be on for five or ten minutes, but the late-night host, Jeffrey Sammut, said he might keep me on for much longer, depending on how it goes and how much other sports news there is to discuss. On my way out of the stadium, I gave away a much cleaner ball to a 12-ish-year-old kid who was passing by with his father. • 326 balls in 38 games this season = 8.58 balls per game. You always get tickets signed. 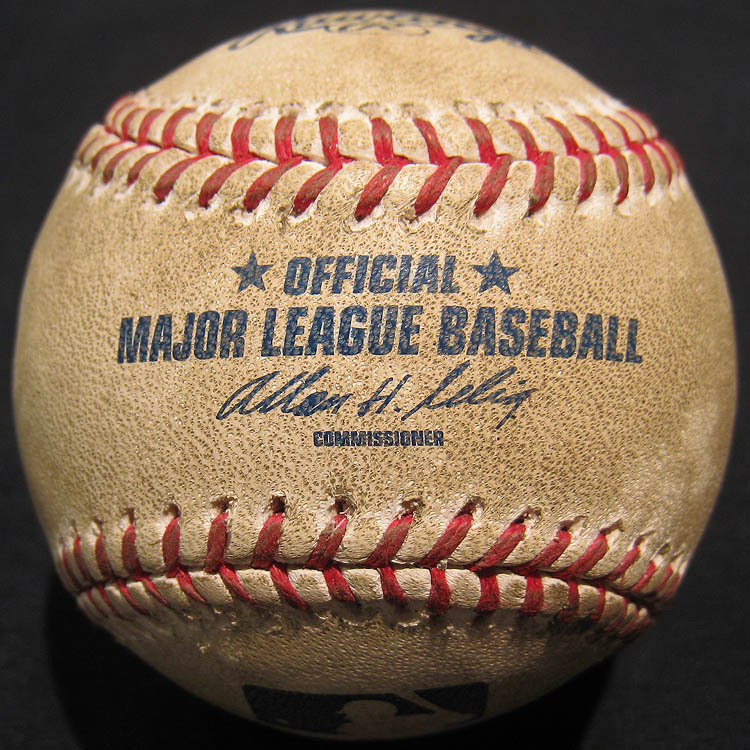 Have you ever gotten a ball signed? I mean, you have around 5,000 …. I’ll also let you know that my ball from Dreckman was pretty well-rubbed too…sorry I couldn’t hang around for a comparison photo. Ava had never been up past nine before and the game ended after 10, so she needed to get back to the hotel for some sleep. Speaking of no black light, we got a ball today on which the “invisible” inked number is clearly visible — no black light required. Ever seen that? Odd. Hey zack, great game! 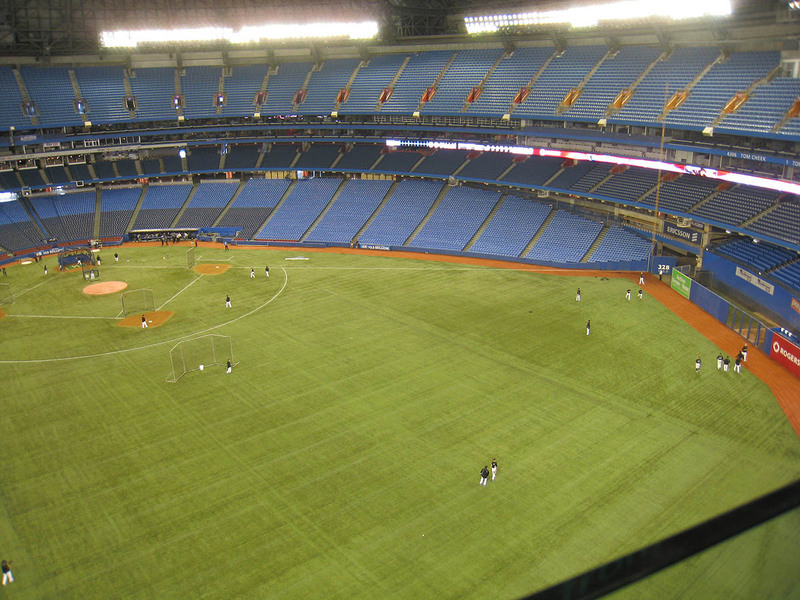 Rogers center seems like a pretty complex and interesting stadium. I was at the phillies game and I extended my ‘streak’ to TWO games! I now have three lifetime balls. I even got to yell at cliff lee (he acknowledged my sayings by pointing at me). I’m psyched for you reaching number 5000. 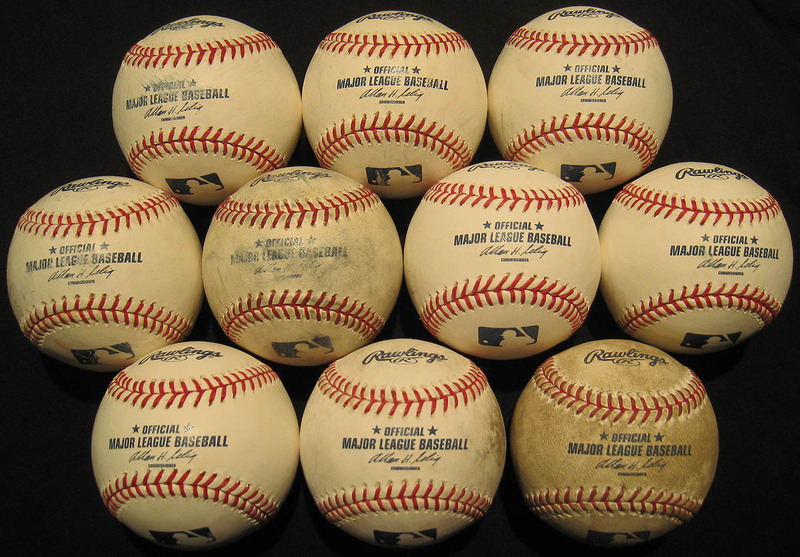 I’ve gotten a few baseballs signed over the years: my 1,000th, 2,000th, and 4,000th by the players who threw them to me. I didn’t get No. 3,000 signed because I snagged it with my glove trick. So…we’ll see what happens with No. 5,000. Ha, no. I just decided to take a little break from it (it takes a lot of work to take those black light photos, and I would’ve needed to also bring my clunky tripod), so I left it at home. Thanks! 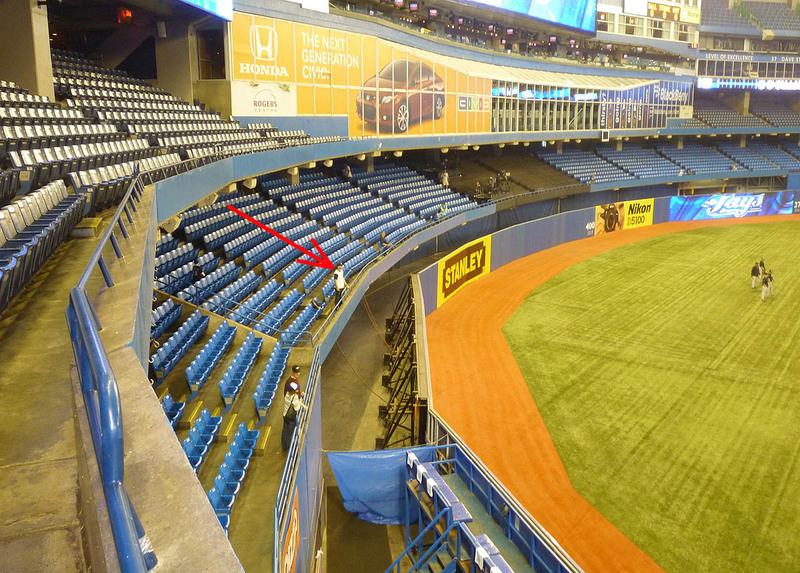 I now have two games to snag five baseballs, so I’m pretty sure I’m gonna do it here. Thanks for the comment, and man, you’re killing me with the foul ball! No worries about jetting after the game. Family always comes first. Thanks, and nicely done with the Phillies. Hope to see you again soon. hey….can u hurry and post the 5/27 post?? 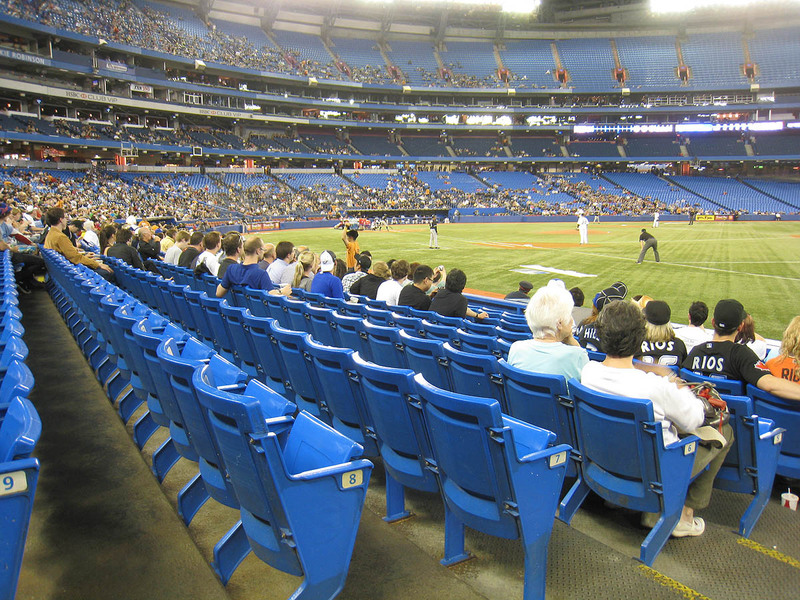 I’m taking my boys to Toronto to see the Yankees in July. I think I’ve settled on the front row of the rightfield dugout to take my chances on catching (or getting thrown) a ball. are certain that they’ll be catching a homer! Thanks! I was cranking out those entries as fast as I could. You mean the 1st base dugout? 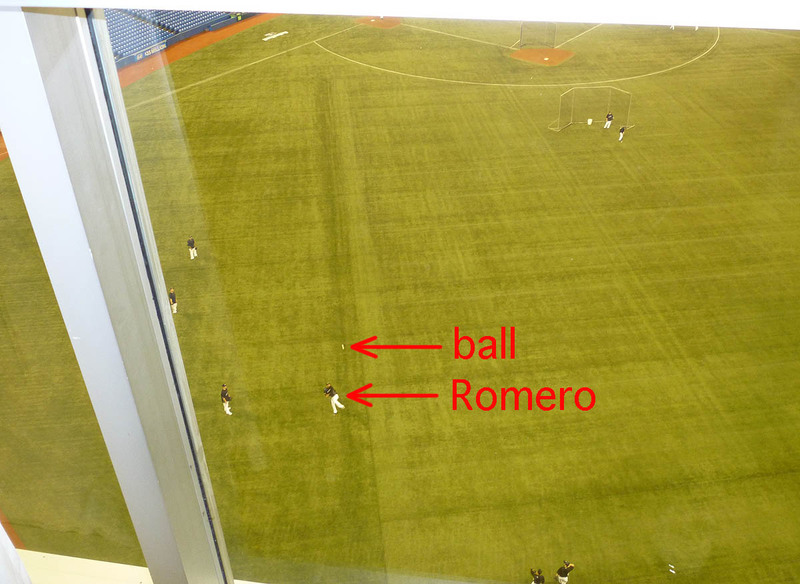 Or the right field bullpen? 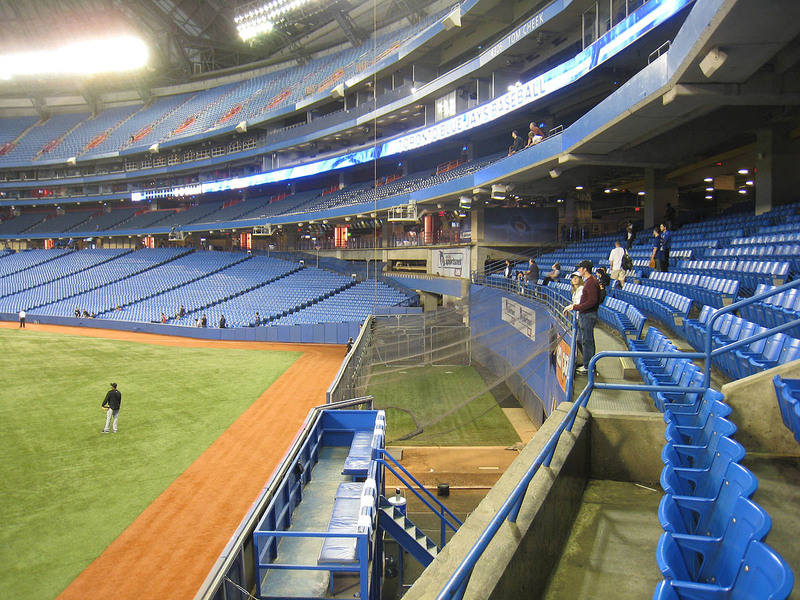 Stay near the bullpen during BP (for homers and toss-ups). 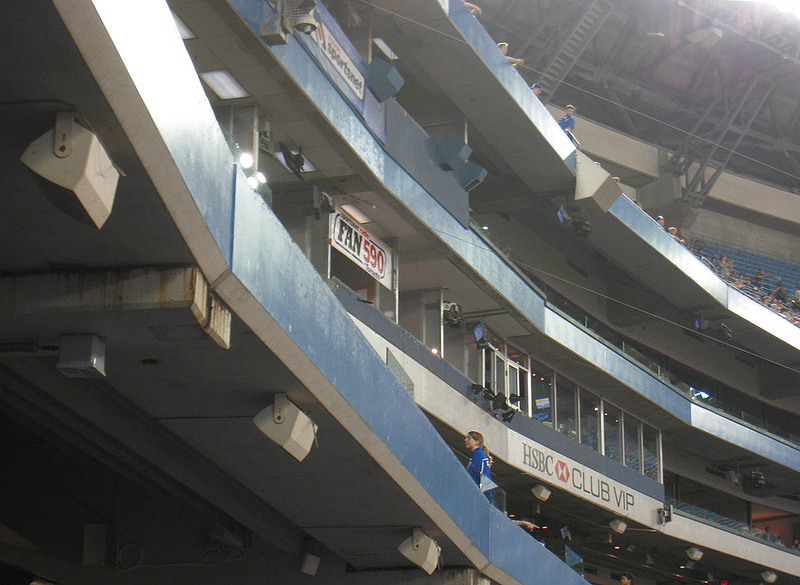 Stay near the dugout during the game (for 3rd-out balls). Hope you guys get some baseballs! 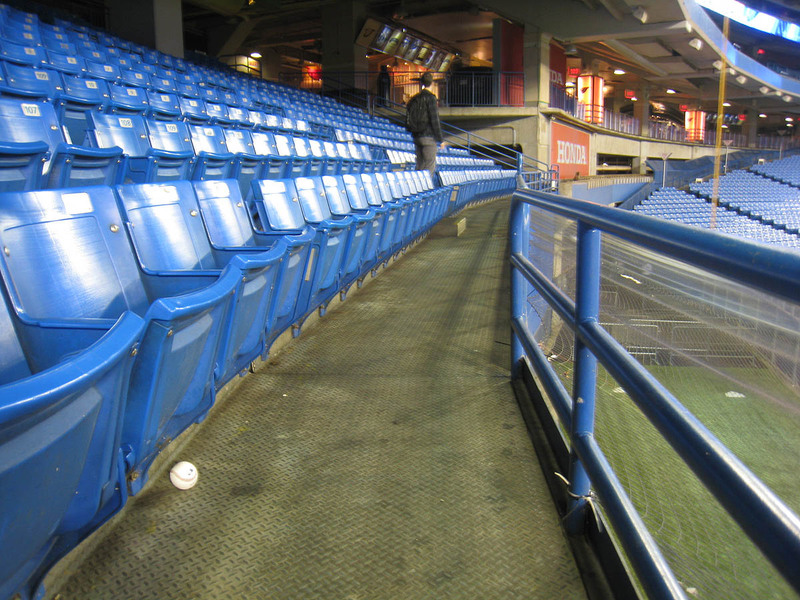 Yeah, sorry ..I meant right field bullpen. We are hoping to try the glove trick also! Ahh, well, it sounds like you have a solid plan in place. Good luck! 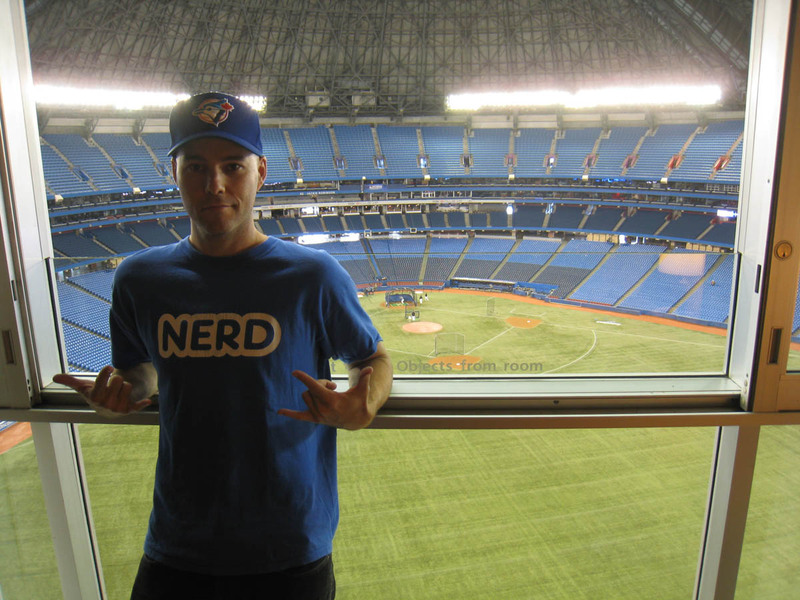 Why exactly did you spend all your money on a field view room then buy tickets to get inside the stadium? I know someone who works at the hotel, so I got an amazing rate on the room, and on top of that, I split the cost with my friend.